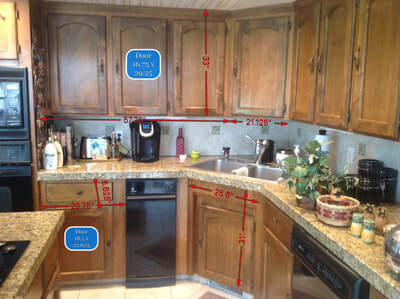 Linda & Roger's Condo kitchen was ready for an update. 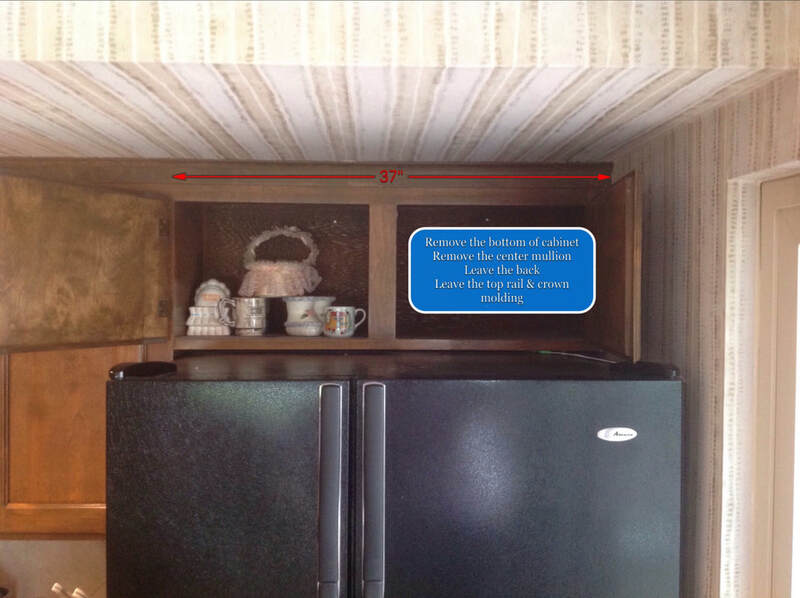 They had updated the kitchen once, but now it was time again. 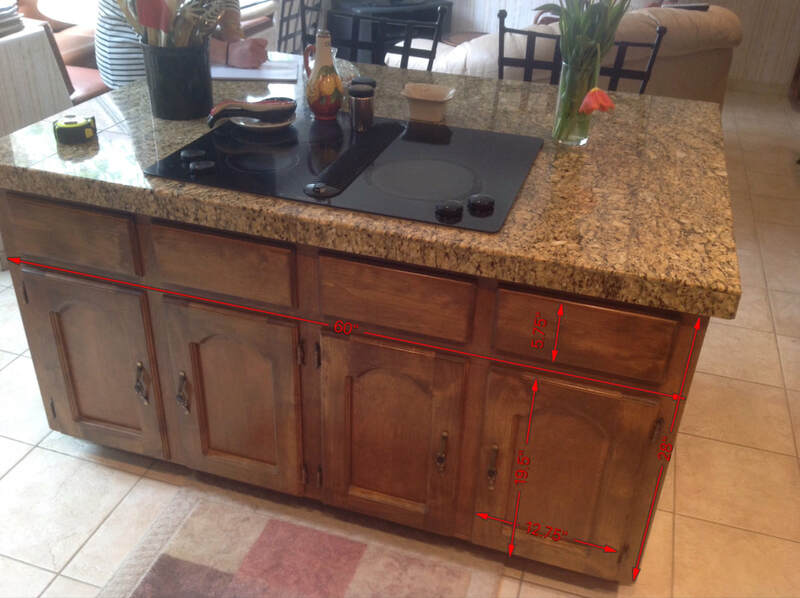 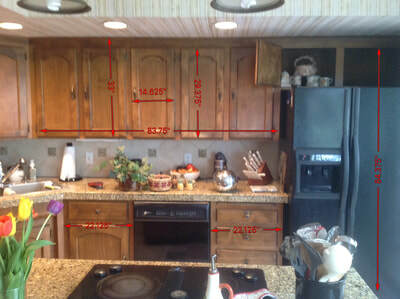 Several appliances had failed and needed to be replaced, but the cabinets wouldn't accommodate modern sizes. 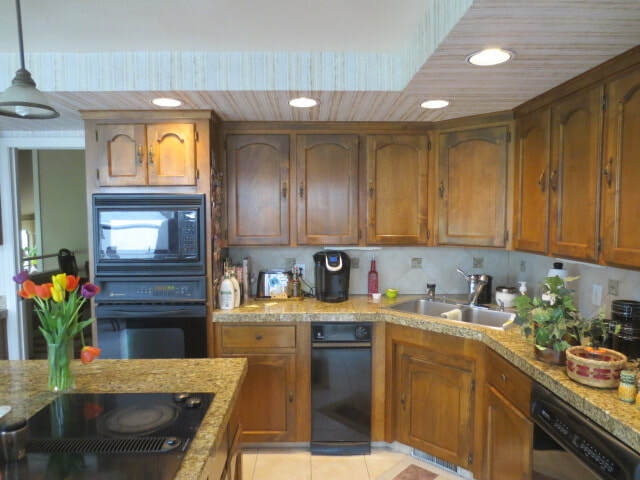 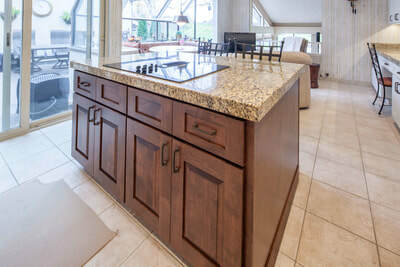 The original cabinetry was custom-built and of good quality, but the door style was firmly locked in the late 70's and the finish was quite tired. 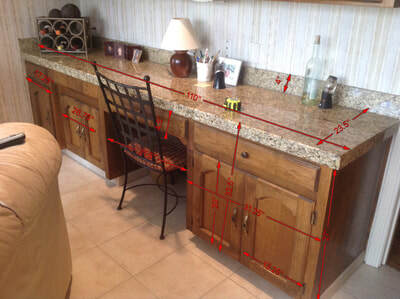 Linda was happy with the countertops, backsplash and floor. 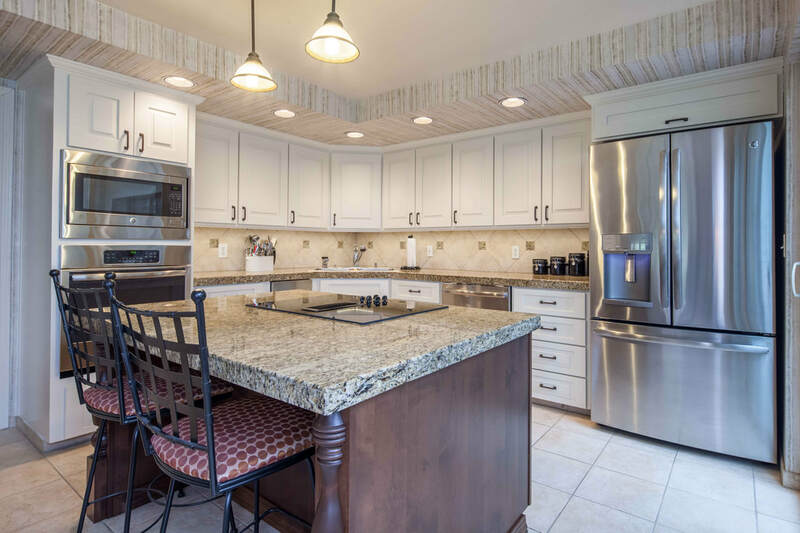 She wanted to lighten things up and add some pizzazz. She also wanted to tie-in the existing stained woodwork that runs through the rest of the home. 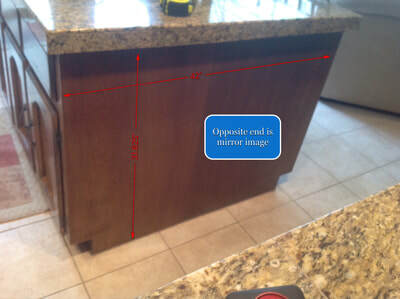 The original cabinet doors, drawer fronts, and moldings got tossed. 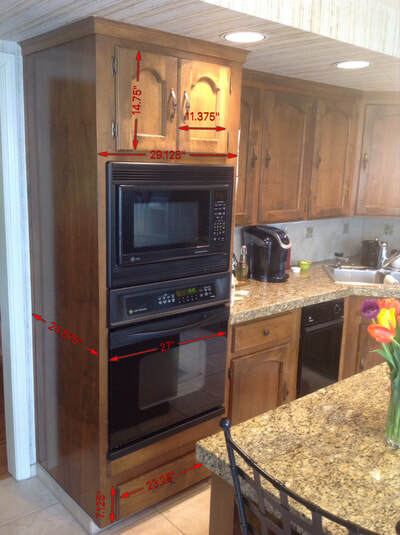 We modified the oven cabinet to fit the new ovens, added a deeper and shorter refrigerator cabinet, and eliminated the old-school recessed sink front. New moldings were added and then the original cabinet boxes were painted in place. New hard, durable, factory-painted doors, and drawer fronts were installed. 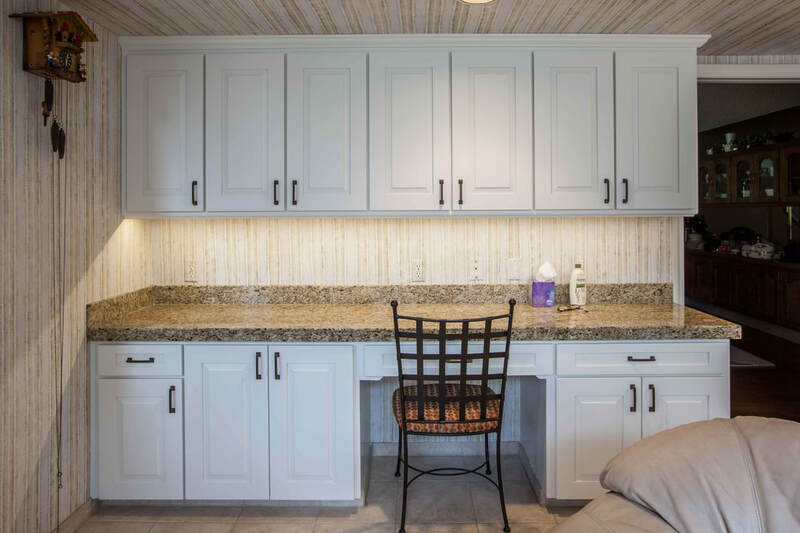 On the island, we added a couple of drawers, refaced in a complementary stained wood, and added posts to the backside for a touch of elegance. 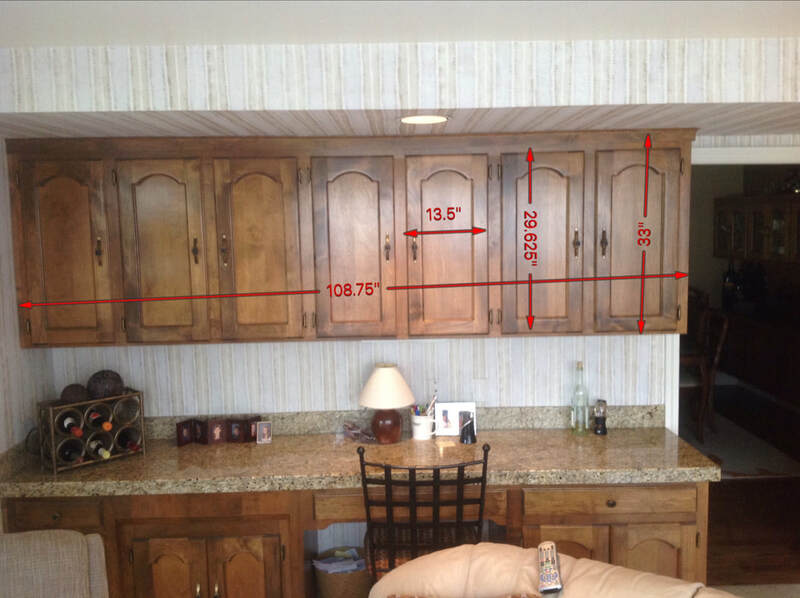 The old, non-functional, fluorescent under-cabinet lights were swapped-out for new LED tape-style versions. The existing tile floor was in great shape, so we just made sure it was protected during the project. 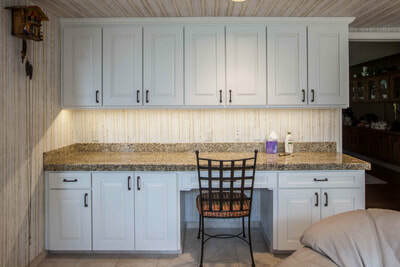 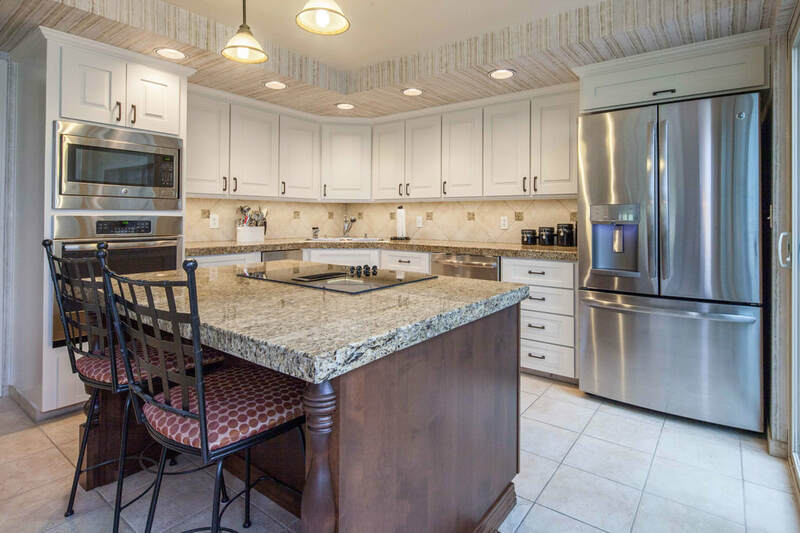 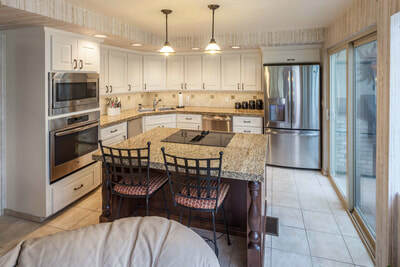 It is amazing how the countertops, floor, backsplash, and wallpaper all got re-invigorated by association when we upgraded the look of the cabinetry.